Micro Sunshine﻿ Designed by Nama Niku! Check out all this Keshi madness and more up for grabs on eBay! 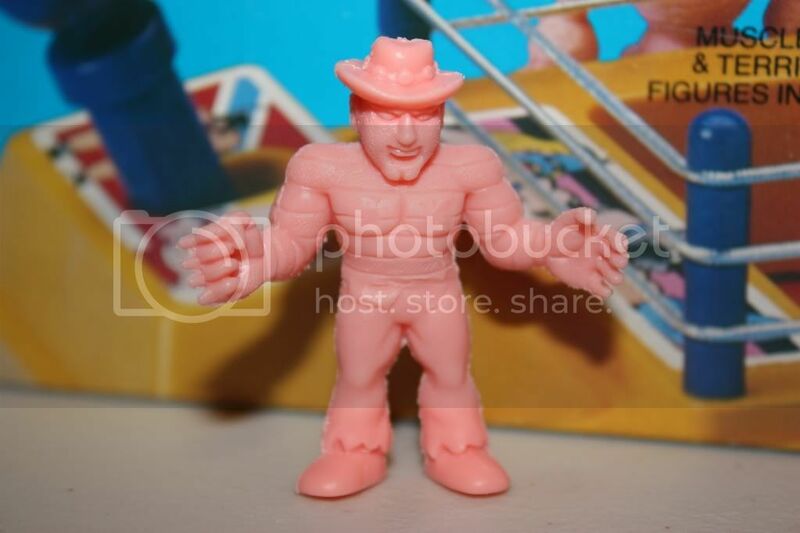 New from the insanely popular CCP Muscular Collection comes Kinnikuman Great with a customizable head option that allows you to basically build your favorite version of the character. The thing that really blows me away about these figures is that they are handmade and hand painted in Japan. 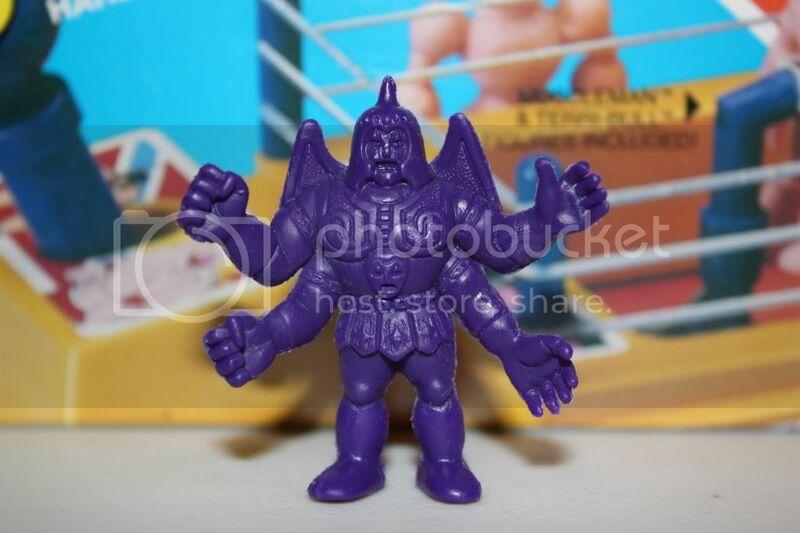 Each figure receives such great attention to detail, that you are really investing in a piece of Kinnikuman art by adding one of these bad boys to your collection. This kind of mixing and matching puts Legos to shame... okay maybe not... but still pretty damn cool. Shimada-sensei's role in getting this blog off the ground cannot be understated. As always, I have to give him many thanks and major props for his friendship and kindness. Around mid-2010 we began exchanging Twitter messages and emails discussing foreign Kinnikuman fan sites. 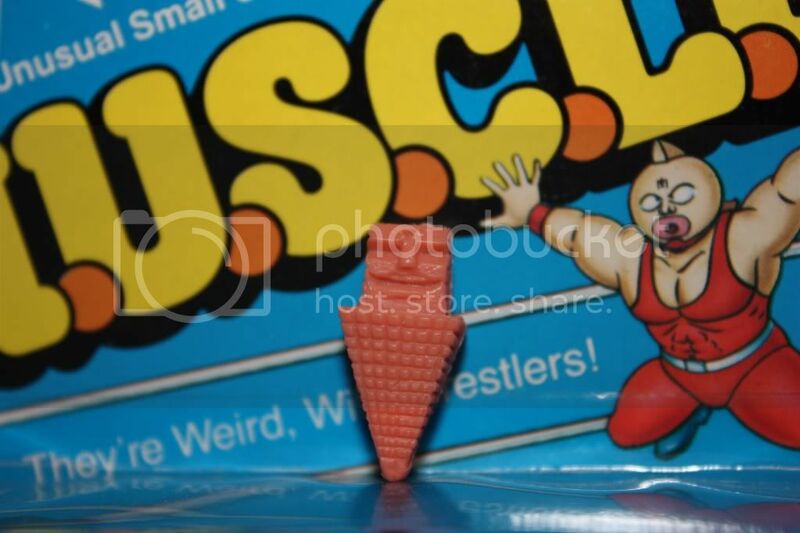 We covered the overseas Kinniku fan phenomenon, custom made Kinkeshi, as well as the history of M.U.S.C.L.E. 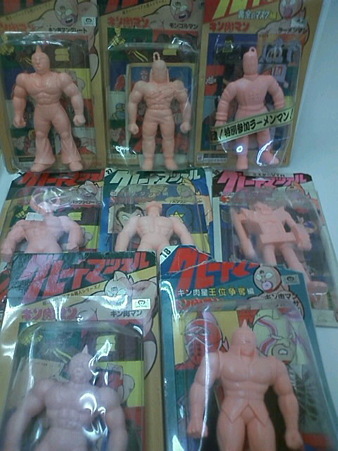 and other overseas Kinnikuman items that he was previously unaware of. It may sound a little dramatic to say so, but what I was holding in my hands almost brought tears of joy to my eyes; a personalized, hand drawn color image of Kinnikuman signed by Yudetamago. For those of you who watched the recent Muscle Summit you will know how these portraits are created. Basically Nakai-sensei draws and colors Kinnikuman, with both Nakai-sensei and Shimada-sensei signing and merging their individual signatures into the singular "Yudetamago" signature. It gave me the chills when I saw one of these created live at the Muscle Summit, and it gives me chills now to actually have one of these in my collection. What came out next was also special beyond belief. Two exclusive, BamBam88 T shirts only available from Yudetamago. These suckers are not for sale, and cannot be found in any store. They are extremely limited in number and are only given out by Yudetamago in special circumstances. Shimada-sensei was kind enough to send one along for me, and one for my wife as well! Incredible Full Color Design BamBam88 Ts! Also included in the package was a sweet Kinnikuman postcard and a very nice hand written letter. Thank you Yude-sensei for sharing Kinnikuman with the world ~ GO GO 友情パワー! Finally, my very own King the 100t Dekakeshi! Be a part of the official Kinnikuman Muscle Kingdom gym with this nifty Niku gear being offered exclusively from the fine folks at Famima.com. I don't care what anyone else says... a Japanese XL is not the same as an American XL - case closed end of story (Cross Bombers from the Hells Missionaries for anyone who disagrees). I have spent a large amount of time in Japan over the last decade, and can say from first hand experience that it is never safe to assume that that a T produced for the Japanese market will fit like one in the "same size" produced for an overseas market. The only way to be sure is to check the actual product measurements, and never go by generic sizes. Hoodies Navy or Gray ~ S-L @ a whopping 12,390円 each... Mama Mia that parka better fit like a glove! Limited to only 29 sets, each figure comes paired with a matching Animic Style ring and a 21,000 円 price tag. The sets were released in conjunction with this week's 肉の日 (Niku Day) celebration and were on display for the first time at the Tokyo Wonder Festival (which also went down this week). Five Star Toy also dropped a very well sculpted Flesh Akuma Shogun at Wonder Fest that sold out in less than an hour according to the Five Star blog... They also revealed a "Clear Lamé" version which should be hitting the web later this year. 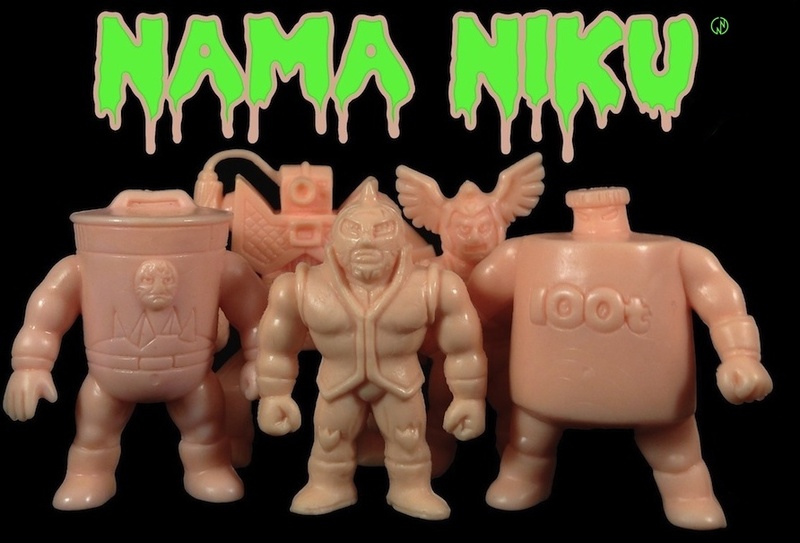 In celebration of this historic event, the Nakano Broadway Mandarake Microkan is throwing a huge 肉の日 (Niku Day) event featuring everything from rare Kinkeshi and classic action figures to obscure Kinnikuman promotional items from years gone by. Check out the official Mandarake Kinnikuman Day Info page for more details. 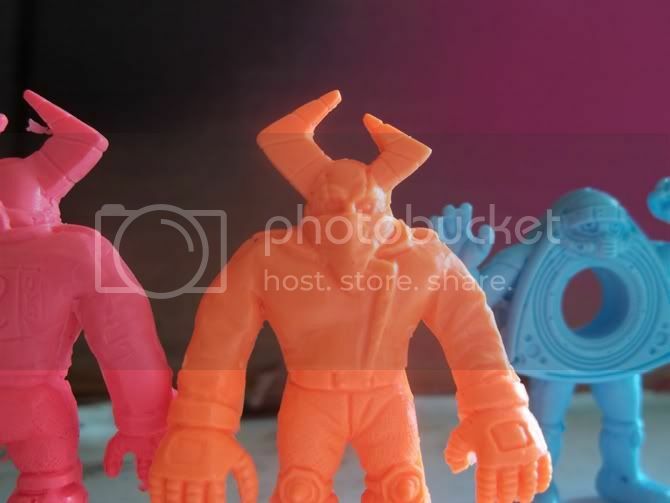 Custom Kinkeshi Mania - Join the Mad Collaboration! 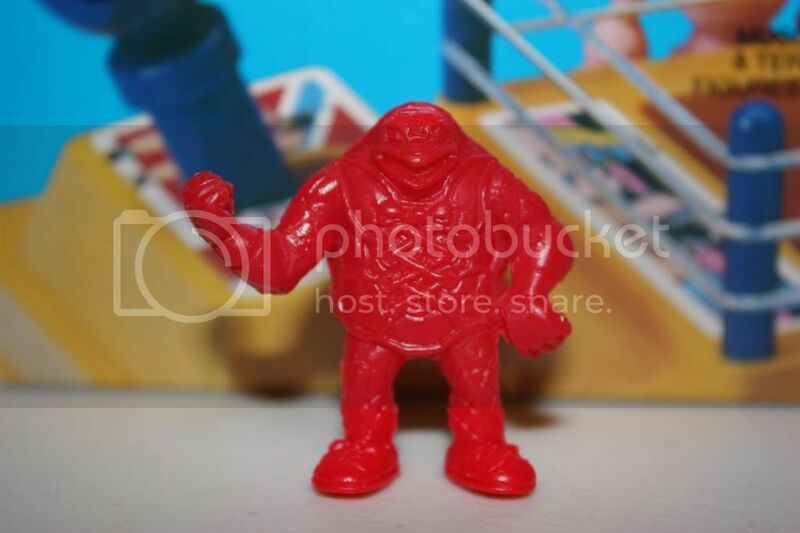 Check out this new M.U.S.C.L.E. shirt designed by Ericnilla. A super high quality shirt with a nifty silk screen design! Only $12 + shipping - More info on ordering and pics over at Little Rubber Guys!